It is nice when I learn a bit of the story behind one of my handmade items, once it has left me. I have been sending off a few items lately to far flung places through my etsy shop. Today I noticed that I had got a number of hits on my shop from a website called Tintina Fibres, so, wondering why, I checked it out. It turns out Rachel, who runs the website, had ordered a 3.5mm crochet hook from me a month ago, and now it has been transported half way round the world to the Yukon in Northern Canada. Rachel makes hand spun yarn and crochets beautiful, hats and bags which she sells on her website and etsy shop. It is amazing to me to think of one of my hooks carved here in rural Wiltshire, being used by a talented crafts person in the cold wilds of Canada. Thanks Rachel! 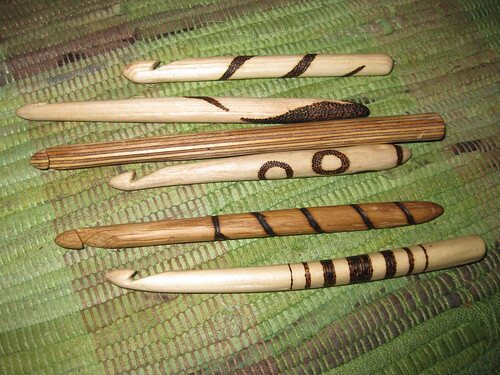 I have been experimenting recently with making some spoons out of the wood of the Sumac tree. 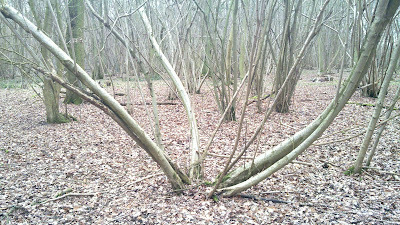 It has turned out to be a lovely wood. Nice to carve and with beautiful colours and grain. Once oiled it takes on a shimmering iridescence. Sumac is a tree genus, species of which grow wild across much of the world. It is not native to the UK, but is often grown here as an ornamental plant. The ground up fruits of some species are used as a spice, particularly in the middle east, and I feel a particular affinity to this tree because was introduced to its use as a spice by my late friend Osman. 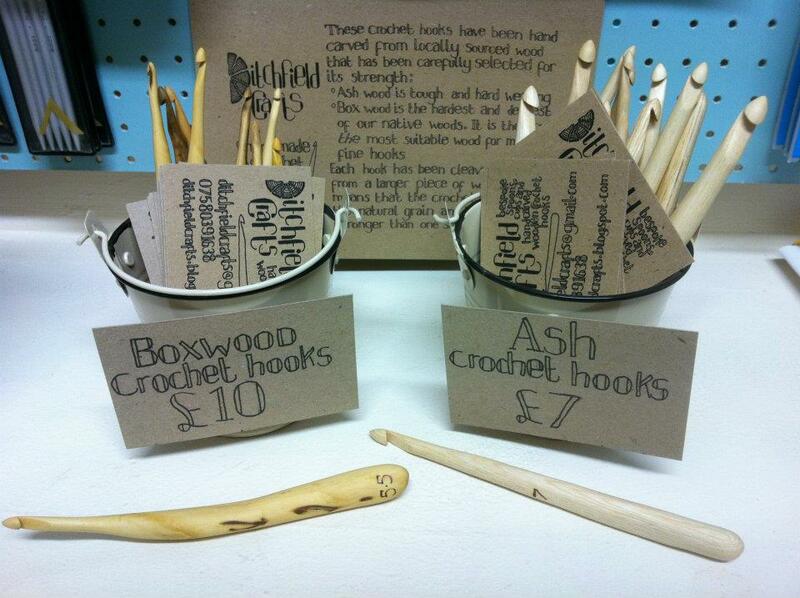 The spoon on the left of the above photo is still available to buy from my etsy shop HERE. 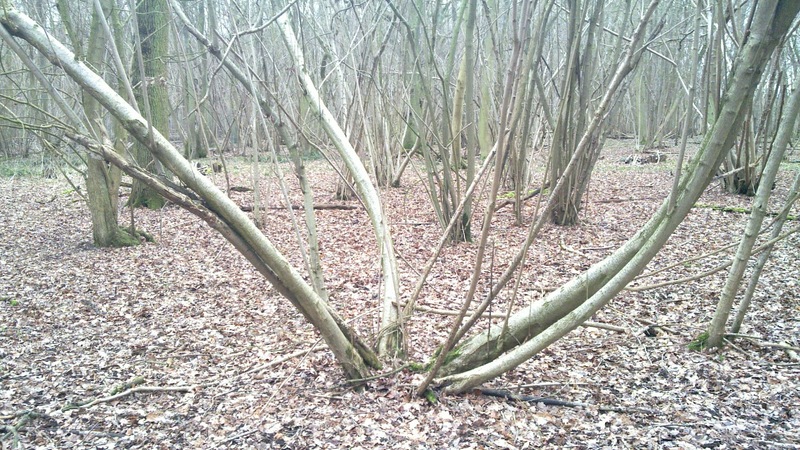 A boxwood branch is sawn into lengths suitable for the finished hook. This cylindrical piece of wood is then split in half, then the halves are halved and so on until these segments are of an appropriate size. Because of the nature of boxwood, and its unpredictable grain these 'clefts' are never straight, and sometimes the split runs off centre. I would get more hooks out of each round if I were to saw the wood into segments, but I am not willing to sacrifice the strength that cleaving retains. Wood is always stronger when cleft than when sawn. Each segment is then carved down to a comfortable size using a swedish carbon steel knife. Particular attention is paid to the final 35mm of the hook as this is the working end. I cut it carefully down to size, and then stick it through a brass gauge that I made. This is a sheet of brass with holes of various sizes drilled in it. This not only checks the size but also marks any high points. I then carefully shave these off to reach the desired dimensions. I then sand the entire shaft, working through many grades, to bring out the grain and leave the hook feeling wonderfully smooth. To cut the hook, I first use a small tenon saw to cut in at a slightly diagonal angle, I then cut up to this with my knife, creating a V. The sharp corners are then shaved off, and the point of the V softened with a small round file. Then the hook part is sanded smooth. The hook size is then burnt onto it using a pyrography pen. It is then given a couple of coats of raw linseed oil. After drying the top 35mm of the hook is burnished to a shine by rubbing it with another smooth piece of boxwood. And the crochet hook is complete! A finished batch of buttons, beads and crochet hooks. The novelty sized buttons are going to Malaika for lovely macrame flower brooches. You can see (and buy) her work HERE! The beads are for Emma's huarache sandle making workshop at Shambala festival in August as optional add-ons. Buttons are sycamore, yew and blackthorn; beads are laburnum, oak, chestnut, cherry, apple, purple heart and holly. I've been making lots more boxwood crochet hooks lately. There are plenty of them up for sale in my Etsy Shop. I have also made a nice fabric roll to display and protect my wares, while out and about. It means I can take a sizeable bundle of hooks with me wherever I go. You may notice that none of the hooks in the above photo are for sale on etsy. If you are interested in any of these, send me an email: ditchfieldcrafts(at)gmail.com. 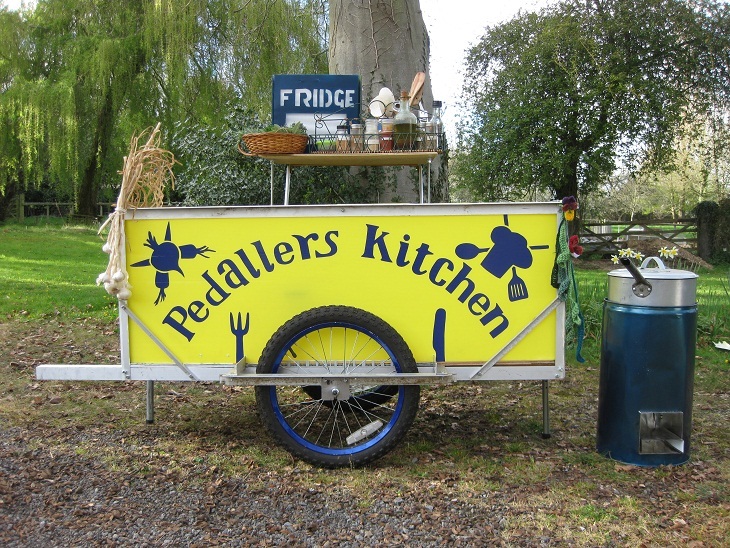 I will be selling these and other items from our bike trailer kitchen, Pedallers Kitchen at various festivals this summer. There are many more hooks listed for sale on there as well as other items. Etsy is a huge online craft market, where individuals can host shops selling handmade items. I have just completed a large batch of boxwood crochet hooks in 0.5mm increments from 3mm to 6mm. I will be posting photos soon. Just wanted to point you in the direction of my new blog detailing the latest project that me and my girlfriend, Alice, are embarking on - Pedallers' Kitchen. A magical bike trailer cooking machine, with loads of gizmos. I have created a new 'Shop' page, accessable by clicking on the tab at the top of this page. It shows all the items currently in stock. The page you are currently on will now become a more convensional blog, with posts on my interests, happenings, goings on and the like. Some of the posts below on available stock are no longer relevant as I have recently taken a number of crochet hooks to The Wool Croft in Abergavenny. Here is a photo of my wares on display there.